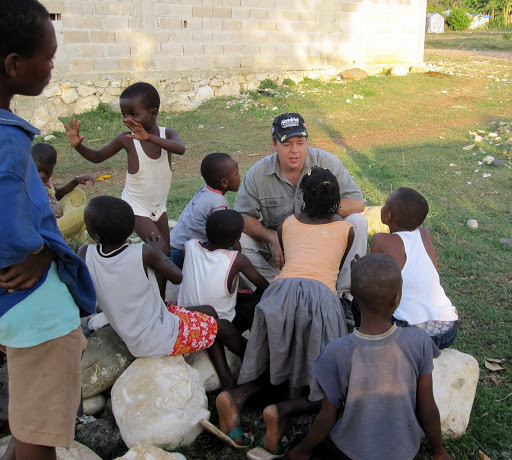 Clean water is one of the bigger needs here in Haiti. Wes is trouble-shooting a system our teams installed for a school of 500+ kids that reopened this past Monday in tent shelters. It is interesting and encouraging to hear fairly consistently that Haitians see schools reopening as one of their higher priorities. Just outside this sheltered area stand two tanks. 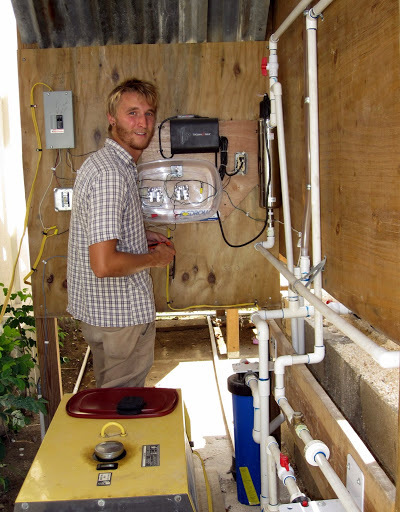 Using a small diesel generator (yellow box), water is pumped from a well to a large tank, through the filter from one tank to the second one. It’s simple, it is easily maintained, and it is sustainable….all criteria for projects we undertake. And such a simple thing makes the education of hundreds of kids viable once again. “Blanc, blanc!” That’s the call I hear as I walk among the towns and villages, now just rubble with tents filling every open surface. Americans are a draw just because we’re so different. But these kids were telling me about the Brazilians who came just a few weeks ago. 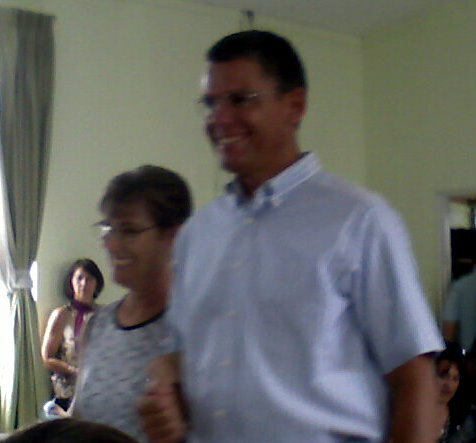 We were so blessed to have our Brazilian partners organize and send a team so quickly. And they knew how to engage a community! After working, the team would grab a ball and start a game of soccer in the middle of the community. Suddenly they are surrounded by Haitians all eager to play. Only two of the team speak English, and none speak Creole. But so much can be communicated without a common language, such as, “I’m here to serve you”, “You are valuable”, and the most important, “I’m here to represent Christ, and he loves you.” Though we constantly have to remind our teams from the States that it’s not about the work but about relationship, our Brazilian friends just naturally understand that engaging with the community is what accomplishes the goal. 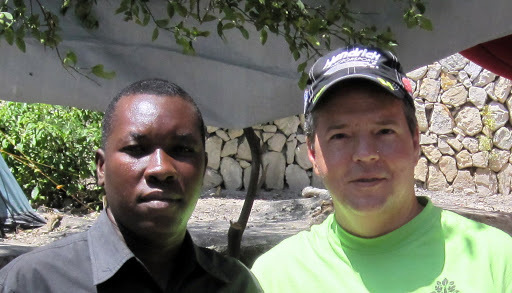 Absolon is a pastor in Port-au-Prince. During the three day fast declared by the Haitian president in February Absolon saw many come to Christ and his church doubled in members. 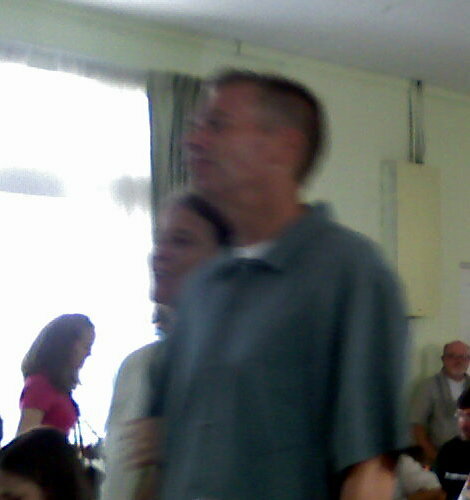 He now focuses on training these new believers as well as leaders in his church. They meet in a courtyard area outside their church building where people will not enter due to ongoing fear of collapse. According to Absolon the power and draw of Voodoo has dropped significantly. He told us that the people have seen that Voodoo cannot save them, cannot help them, so they are now crying out to God. 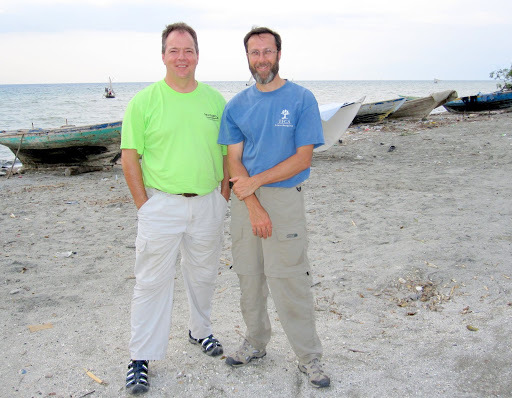 The field is still ripe for harvest in Haiti. Reachglobal is an organization that takes healthy missionaries, healthy teams, and healthy partnerships seriously. We are thankful to be privileged to work with some amazing leaders from the around the globe, and could not do so without your support and prayers. This year, our Lead Team conference was held near San Jose, California nestled below some enormous redwoods. 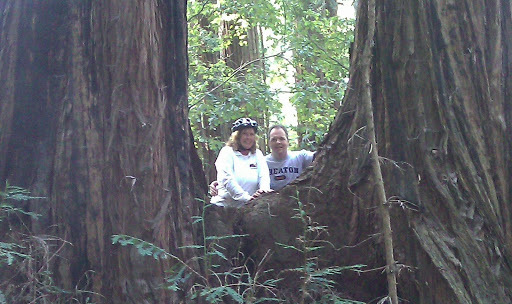 One afternoon we were able to get in some mountain biking and spent some time exploring Henry Cowell State Park. Earlier in the week, the ladies welcomed Dora Amalia Ruiz by hiking this same park, savoring a picnic lunch, and capping off the day with a ride on the Roaring Camp Railroad also in Felton, California. No TV is not a problem when there are so many forms of entertainment here in Haiti. This evening we teamed up to dislodge a mouse from the stove. That part worked, but the mouse bounded for the stairs and is now on the second floor safe and secure. So everyone had lots of fun and is happy, including the mouse.